Interested in computer coding? 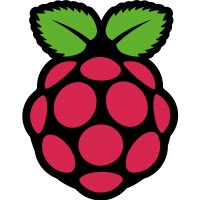 Want to know what a Raspberry Pi is, then check out our Raspberry Jam at the Castro Valley Library. A Raspberry Jam is a gathering of individuals that have a common interest - learning more about the Raspberry Pi, a powerful "micro-computer" that is used for digital-making and coding. The Raspberry Jam @ Castro Valley Library will involve tinkering, coding, electronics and all around fun! Whether you want to try out computer programming for the first time, hack some electronics or just generally have some fun inventing, we have something for everyone! Some equipment will be provided, but feel free to bring your own Pi or project to use or share. No experience at all is required.